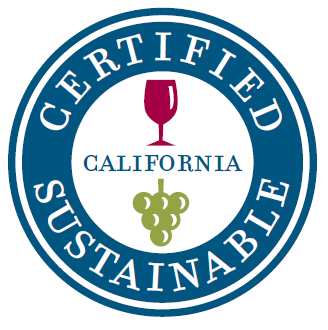 We are seeking public comment as we update Certified California Sustainable Winegrowing (CERTIFIED SUSTAINABLE) to enable the use of a certification logo on the wine bottle. The California Sustainable Winegrowing Alliance (CSWA) first introduced a certification option for vineyards and wineries in 2010. Currently, third-party auditors annually verify that certified vineyards and wineries score themselves accurately, meet minimal scores on prerequisites and continuously improve practices. Certification is for vineyards and/or wineries; and while claims can be made on websites, promotional materials and secondary packaging, they cannot currently be made on the bottle or primary packaging. CSWA has been working with the Sustainable Winegrowing Joint Committee since June 2015 to update and enhance the program to allow for the use of the certification logo on the wine bottle. The Joint Committee provides technical guidance for the Sustainable Winegrowing Program and plays an important role in the development and updating of the California Code of Sustainable Winegrowing and CERTIFIED SUSTAINABLE, in addition to stakeholder input. (See https://www.sustainablewinegrowing.org/joint_committee.php for a list of members). The proposed program updates have already undergone one round of review by key stakeholders including government agencies, environmental organizations, regional winegrowing associations, certified vineyards and wineries, consultants and other experts. Many of those comments have been addressed in the attached document, while others will be addressed in a CERTIFIED SUSTAINABLE Frequently Asked Questions document that is being developed. We are now seeking public comment and invite your review and input on the proposed CERTIFIED SUSTAINABLE program updates. Once you have had a chance to review the attached overview document, we would appreciate your feedback via an online survey: https://www.surveymonkey.com/r/CERTIFIED_SUSTAINABLE_public_comment. Please submit your survey response by Monday, October 31, 2016. The Sustainable Winegrowing Joint Committee will review and address feedback, with the final recommended program updates subject to review and approval by the California Association of Winegrape Growers, Wine Institute, and CSWA Boards of Directors. We anticipate program changes to take effect at the end of 2016. We will host workshops and webinars and provide guidance and communications to current certified participants and accredited third-party auditors, with ample time to understand any new requirements. We look forward to offering the enhanced ability to communicate to trade, consumers and other key stakeholders by enabling use of the certification logo on the bottle. Certified California Sustainable Winegrowing (CERTIFIED SUSTAINABLE) is a voluntary third-party certification option for California vineyards and wineries. CERTIFIED SUSTAINABLE verifies that vineyards and wineries use best management practices to protect the environment, conserve natural resources and operate socially responsible, thriving businesses. Originally introduced in January 2010, CERTIFIED SUSTAINABLE went through another extensive stakeholder review process in 2015-2016 to update the certification requirements to allow for the use of the certification logo on the bottle (a communication method that was not previously available to certified participants). This effort was largely driven by increasing market demand for sustainably grown and produced wine. Certified vineyards and wineries must meet defined requirements that are verified annually by third-party accredited auditors in order to achieve and maintain certification. Minimum Score Threshold: 85% of the total scores must be Category 2 or higher. Practices included in Category 2 and above are considered sustainable practices in the industry. Prerequisite Practices: There are 58 required prerequisite practices for vineyards, and 37 required prerequisite practices for wineries. (While prerequisites specify minimal scores, certified vineyards and wineries often score above these minimum practices.) The following is a summary of required prerequisite practices; for the complete list of prerequisite practices see https://www.sustainablewinegrowing.org/certifiedsustainable_prerequisites.pdf. Sustainable Business Strategy – Two (2) prerequisites ensure sustainability is integrated into the business strategy and a process is in place to stay in compliance with environmental regulations. Viticulture – Three (3) prerequisites address biological problems, scion/cultivar selection and habitat conservation and 16 other practices help ensure long-term vineyard vitality. Soil Management – Five (5) prerequisites address nutrient and nitrogen management, fertigation and erosion prevention in addition to 7 other practices help ensure soil health. Vineyard Water Management – Nine (9) prerequisites address water use efficiency, water quality, offsite movement, irrigation maintenance and use of decision tools, water budgeting and measurement, and 2 additional practices help ensure vineyard water use efficiency and quality. Integrated Pest Management – Twenty (20) prerequisites plus 14 additional practices verify an Integrated Pest Management approach is used that includes monitoring and managing vineyard pests (e.g., insects and mites, weeds, disease and vertebrate), cultural practices and decisions tools, employee training and safety, etc. In addition, materials on the CERTIFIED SUSTAINABLE Red List may not be used and if materials on the CERTIFIED SUSTAINABLE Yellow List are used, alternatives must first be tried or considered, and justification and mitigation of risk documented. (See https://www.sustainablewinegrowing.org/certifiedsustainable_redandyellowlist.pdf for more details). Wine Quality – Three (3) prerequisites address juice chemistry, food safety and food security and 6 additional practices can positively affect wine quality. Ecosystems Management – Five (5) prerequisites address ecosystem processes, watershed management, aquatic habitats, sensitive species and collaboration plus 4 other practices help protect and enhance ecosystems and wildlife habitat. Energy Efficiency – Three (3) prerequisites address vineyard pump efficiency and winery motor/drives/pump efficiency and require an energy audit, and 9 additional practices help improve energy efficiency. Winery Water Conservation and Quality – Five (5) prerequisites address winery water use efficiency and water quality, water supply, crush operations and presses plus 11 additional practices improve winery water conservation and efficiency. Material Handling – Two (2) prerequisites address hazardous materials planning, storage and replacement and 7 additional practices help ensure proper material handling to meet regulatory requirements and further minimize risk. Solid Waste Reduction and Management – Five (5) prerequisites address cardboard, metals, capsules and landscape residuals and require a solid waste audit, and an additional 11 practices help reduce and effectively manage solid waste. Environmentally Preferable Purchasing (EPP) – Two (2) prerequisites address EPP planning and packaging, and 13 other practices ensure EPP consideration for purchasing products and services. Human Resources – Two (2) prerequisites address safety training and sustainability in the workplace and 8 additional practices help ensure employee effectiveness and workplace satisfaction. Neighbors and Community – Three (3) prerequisites address communication, awareness of potential issues and mitigation of light, noise and traffic, and 6 additional practices help further build positive neighbor/community relations. Air Quality – Three (3) prerequisites address air quality planning, unpaved surfaces and winery refrigeration, and 10 additional practices can protect air quality and reduce greenhouse gas emissions. Sustainability Performance Metrics for Water, Energy, Nitrogen and GHGs: Vineyards must measure and record water use and nitrogen applied annually. Wineries must measure and record water use, energy use, and greenhouse gas emissions (GHGs) annually. Continuous Improvement: In addition to meeting the minimum sustainable practice requirements, all certified vineyards and wineries must demonstrate continuous improvement in the adoption of sustainable practices on an annual basis. Auditor verifies methodology for identifying and prioritizing areas for improvement and written action plans are created to document the implementation of additional sustainable practices every year. The California Sustainable Winegrowing Alliance (CSWA) is a leader in promoting sustainable winegrowing practices within the California wine industry and administers CERTIFIED SUSTAINABLE. Created in 2003 by Wine Institute and the California Association of Winegrape Growers (CAWG), CSWA is a nonprofit organization that works closely with a dedicated group of stakeholders, including a Joint Committee of over 50 growers and vintners, government agencies, academia, non-governmental organizations, and other experts. These stakeholders have provided extensive review of all three editions of the California Code of Sustainable Winegrowing and CERTIFIED SUSTAINABLE. Auditing – CERTIFIED SUSTAINABLE utilizes accredited third-party auditors to perform annual audits of vineyards and wineries. The auditors meet qualification requirements and participate in annual training. Auditors also perform chain of custody audits to verify that 85% of certified grapes are used in all wine bearing the CERTIFIED SUSTAINABLE logo (certified grapes can come from CERTIFIED SUSTAINABLE, Lodi Rules and/or Sustainability In Practice Certified vineyards). 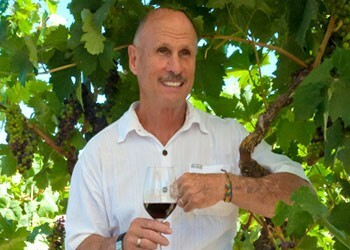 For a list of auditors visit: https://www.sustainablewinegrowing.org/CCSW-certified_accredited_auditors.php. A written or electronic record of results was kept. The vineyard was monitored periodically for insect and mite pests during the growing season. The vineyard was never or rarely monitored for insect and mite pests. Download a pdf to print: www.sustainablewinegrowing.org/certified_sustainable_publiccomment. 1The 85% of grapes from certified vineyards can include CERTIFIED SUSTAINABLE, Lodi Rules and/or Sustainability In Practice Certified vineyards. 2To download the California Code of Sustainable Winegrowing or to view any of the 15 individual chapters, visit: https://www.sustainablewinegrowing.org/orderdownloadworkbook.php.